Please mind the mess! I am still working on this. 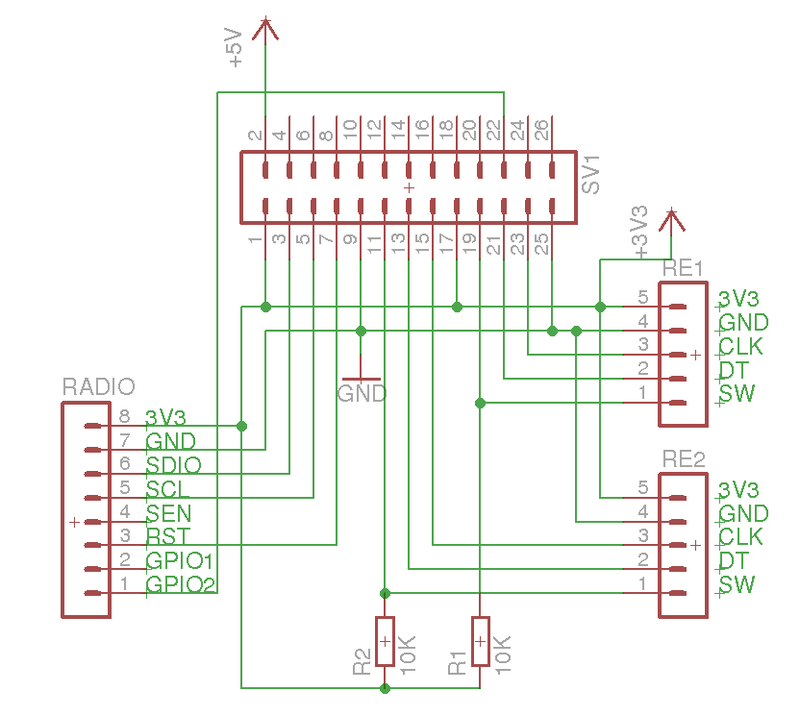 So when I went looking for information on building a Raspberry Pi based stereo for my truck I came across this blog by Christian Brauweiler. He has a write up on how to setup your Pi as a stereo in German which I have outlined below. I started using a Raspberry Pi Zero W with the HDMI connected to my television. I then purchased a 7" touchscreen from a seller on eBay. Unfortunately the screen I received would not power up. The seller said perhaps the screen was bad, so I was sent a new screen. It too would not power up. So the seller has sent me a new control board. Unfortunately it hasn't arrived in time. Due to this, I have swapped the Raspberry Pi Zero with a Raspberry Pi 3 and an official Raspberry Pi 7" touchscreen. I also have been hampered in this project by both GPS and Nova refusing to grab a signal. I have moved my entire project next to a window yet still no GPS lock, and no cellular signal. I am working on the Cellular signal part, but I have been unable to complete the cellular integration because of the lack of connectivity. I will continue to update this project as I make progress. The first step is to apply an image to your SD card. I used this image of Raspbian Jessie Lite from April of 2017. I have been using Etcher on Windows to copy images to SD cards and love it. Next we need to fetch the carPc install script built by Andrei. That process takes 15-30 minutes. Now, if you are using a USB gps you will need to make a few changes. next we need to modify the gps daemon to read from the serial gps device. Now, if you are using a USB Sound card like I mention above, you will need to configure it to be the primary audio device like this. So now we need to provide a map for use with the built in Navit GPS software. Navit may not be everyones first choice for GPS navigation, but it is compiled with this version of Kodi, which allows the Navigation button in Kodi to display the application. So, we will need to get a map for our area from the Navit-Project website. I selected the predefined area of North America without Alaska or Hawaii and the file was nearly 4GB. Take the file and copy it to your Raspberry Pi into the /home/pi/.navit/ folder with a filename of map1.bin. and if all is well it will reboot into Kodi. Wiring diagram for Si4703 module and rotary encoders.